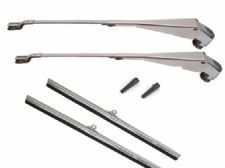 Because of their many global locations, extensive experience and technical expertise, TRICO understands the unique geographic and environmental needs of their customers and tailor their wiper systems to meet specific requirements. Another benefit of their global presence is the strong, enduring relationship with Original Equipment manufacturers around the world. Through these partnerships, they are able to exchange ideas and increase a body of knowledge, keeping them at the forefront and allowing them to bring innovative solutions to the wiper industry. 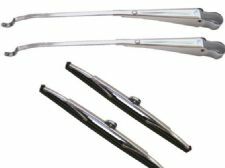 Alfa Romeo Wiper Blades, Audi Wiper Blades, Austin Wiper Blades, MG Wiper Blades, BMW Wiper Blades, Bedford Wiper Blades, Chrysler Wiper Blades, Citroen Wiper Blades, Daewoo Wiper Blades, Daihatsu Wiper Blades, Fiat Wiper Blades, Ford Wiper Blades, Honda Wiper Blades, Hyundai Wiper Blades, Isuzu Wiper Blades, Jaguar Wiper Blades, Kia Wiper Blades, Lada Wiper Blades, Mazda Wiper Blades, Mercedes Wiper Blades, Mini Wiper Blades, Mitsubishi Wiper Blades, Morris Wiper Blades, Nissan Wiper Blades, Opel Wiper Blades, Peugeot Wiper Blades, Porsche Wiper Blades, Reliant Wiper Blades, Renault Wiper Blades, Rover Wiper Blades, Land Rover Wiper Blades, Saab Wiper Blades, Seat Wiper Blades, Simca Wiper Blades, Smart Car Wiper Blades, Subaru Wiper Blades, Sunbeam Wiper Blades, Suzuki Wiper Blades, Talbot Wiper Blades, Toyota Wiper Blades, Triumph Wiper Blades, Vauxhall Wiper Blades, Volkswagen Wiper Blades, VW Wiper Blades, Volvo Wiper Blades, Classic Car Wiper Blades, Commercial vehicle Wiper Blades, Bus Wiper Blades, Coach Wiper Blades, Lorry Wiper Blades, MAN Wiper Blades, Dennis Wiper Blades, BMC Wiper Blades, DAF Wiper Blades, ERF Wiper Blades, Foden Wiper Blades, Iveco Wiper Blades, Scania Wiper Blades, Cheap Wiper Blades.